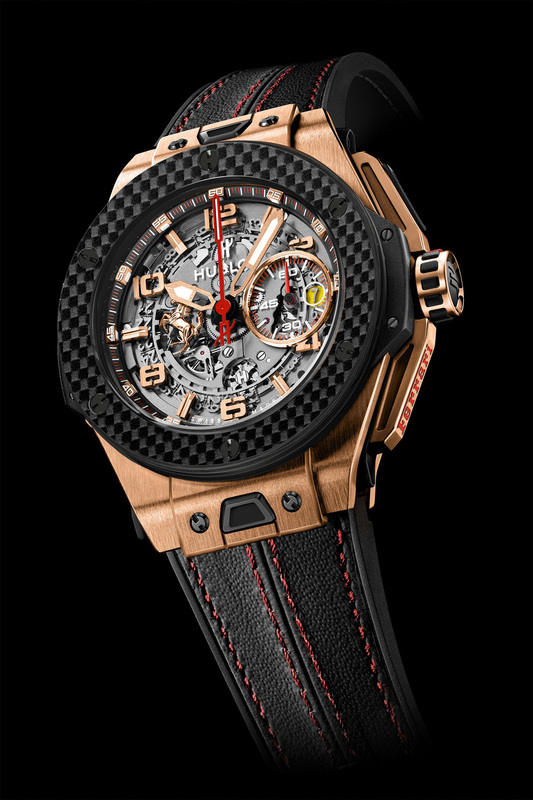 The culmination of a successful year with Ferrari, the Hublot Big Bang Ferrari “Red Magic Carbon” is representative of the brand’s evolution towards integrated watchmaking. The UNICO movement was designed and produced by watchmakers at the Hublot manufacture and while chronographs are not exactly a unique complication, Hublot’s flyback chronograph can be reset at any time- a unique feat in the watchmaking industry. Two push buttons with date indicator and dual coupling and column wheel visible on the dial side, micro-mechanical engineers took an original approach while designing the UNICO chronograph- for instance, the hour counter is driven straight from the barrel, and the lack of jumper in the chronograph means reliability and robustness. With 72 hour power reserve and 28,800 vph, the Red Magic Carbon offers exemplary chronometry. 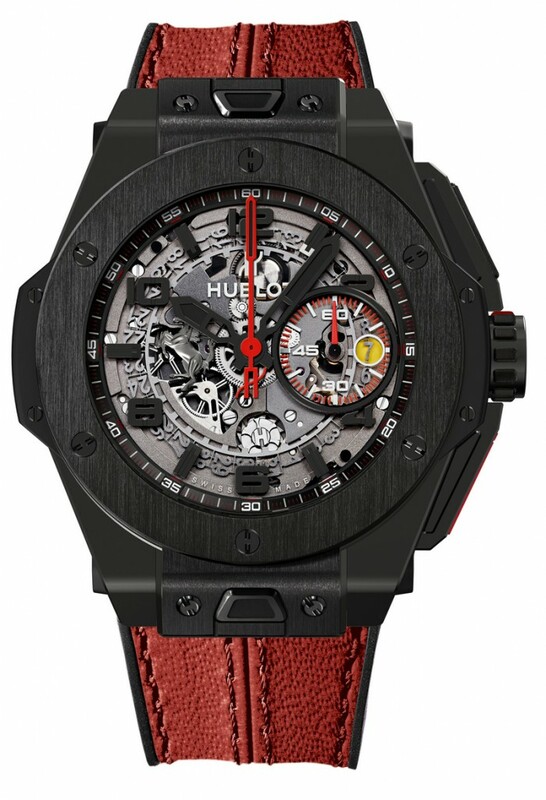 More importantly, the partnership between the engineering giants (in their respective fields) adds a new level of horological inventiveness for Hublot- like the use of carbon fibre in racing and now in watches. A relatively expensive material, carbon fibre has been an essential element in high tech aerospace and automotive fields.. The high strength-to-weight ratio and excellent rigidity makes the Ferrari Red Magic Carbon one of the tougher luxury timepieces in the market.